Last Game: Last night in Lehigh Valley, the Pens beat the Phantoms 3-0. It was the third consecutive shutout for Wilkes-Barre over Lehigh Valley. Tristan Jarry stopped all 21 shot sent his way. Oskar Sundqvist had two goals. 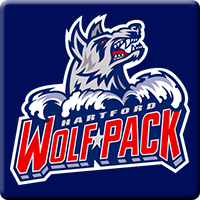 For Hartford, the Wolf Pack hosted Springfield and won 4-3. Four different Wolf Pack players scored for Hartford. Marek Hrivik scored a goal and had an assist. Last Meeting: March 21 in Wilkes-Barre, the Penguins won 5-2. Ryan Haggerty connected with two goals and Tom Kostopoulos notched two assists. Why you should care: Penguins look to continue to keep the weekend going with another strong outing against Hartford, whom the Penguins have had a lot of success against this season. Let second on back in the Atlantic work itself out, Wilkes-Barre should be focused on wrapping up the division here in Hartford or getting dangerously close to it. Other Game to Watch: The Hershey Bears visit the Toronto Marlies tonight in a rematch of the Eastern Conference Finals from last season. The Bears need all the wins they can get if they want to get back into the playoff discussion here in the Atlantic.